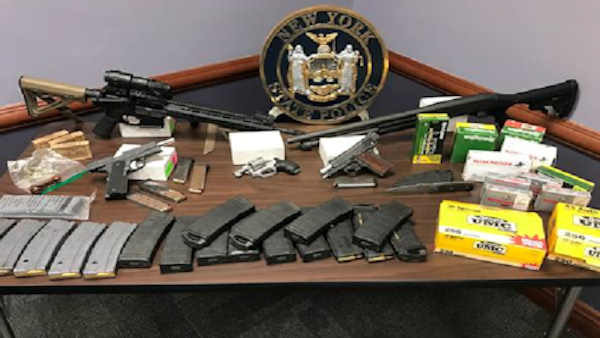 ISLIP, Long Island (WABC) -- A man was arrested during a traffic stop on Long Island after police say they uncovered a cache of weapons in his vehicle. 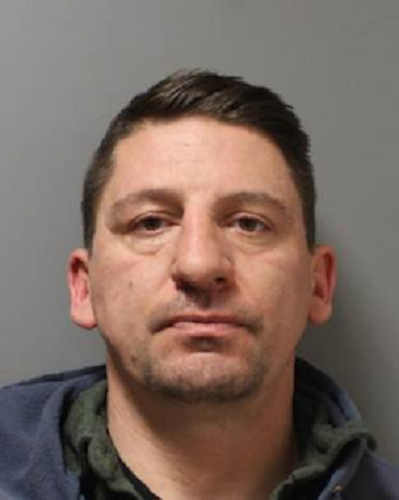 41-year-old Andrew Kuklis of Patchogue was driving on the Southern State Parkway in Islip Friday night when troopers pulled him over for a traffic violation. Officers say they found marijuana, a loaded handgun, a dagger, and high-capacity magazines during the traffic stop. When troopers searched his home, they found a revolver, a handgun, a rifle, and a large quantity of various ammunition. Investigators charged Kuklis with criminal possession of a weapon and other charges.